How to Add Devices to SmartThings Hub? 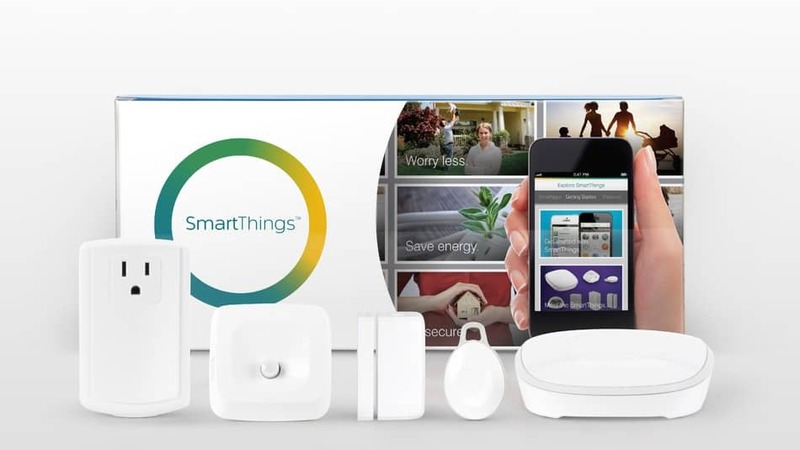 Samsung SmartThings kit come with a range of various application sensors that cater to motion sensing, security and other features. The central controlling Hub communicates with other SmartThings devices and perform the assigned action/responses accordingly. Step 1: Go to MarketPlace. Click on Things–>Connect New Device. The app will then say “I’m looking for New Devices” and will follow with a spinning circle. On finding the device the message #Things Found will appear followed by the device list. Step 2: Tap the device you want to configure and give it a name. Click on Select a Room to assign the device to a room or Add a new room. Step 3: Click on Next. Follow the in-app instruction to configure the device. Upon completion, click on Done. Step 4: Go to menu. Click on Add Things–>Connect New Device. Step 5: Click on My Home. Tap the plus icon. Click on Add a new: Thing–> Connect New Device. Step 2: Click on device category under the above sections to see devices like motion sensors, light bulbs, etc. from other manufacturers that are compatible with the SmartThings. Step 3: Tap the device manufacturer. Click on the device you want to connect. Tap on Connect Now. The app will show the Hub looking for the device of that name or type. Step 4: The app will notify you once the Hub finds the device and will navigate you to configure it. Tap on the name of the device. Step 5: Click on Select a Room and then assign the device to an existing room or Add a Room. Click on Next. 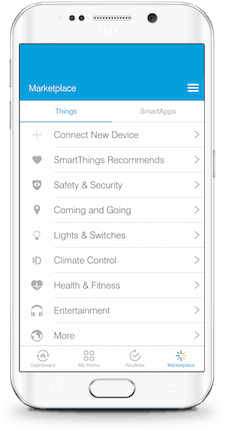 View: To view your connected devices in the SmartThings mobile app, tap on My Home–>Things. Here you will see a list of connected devices. Click on the device and you get the detailed information on recent activity, current status, and its associated SmartApps. After clicking on the device, you can edit, configure and remove it by clicking on the gear icon and following the instructions. Remove: To remove the connected device, click on My Home–>Things. Tap the device you want to remove. Click on the gear/settings icon and click Remove. Confirm the removal.